The rapid growth and funding of online investment advisors called ‘robo-advisors’, reflects a strong demand for low cost, simplified investment management services. Building off their momentum, a firm called Invessence is now arming the best human advisors with the best robot technology. Invessence, as in “the essence of investing”, is an early stage financial technology company that has launched a new investment management platform for financial planners and advisors. It automates the client on-boarding, portfolio construction, and rebalancing process into a streamlined end-to-end solution. The firm prefers to work with advisors that provide a holistic approach to wealth management that encompasses multiple disciplines – financial planning, investments, retirement, insurance, tax, estate, and credit management. 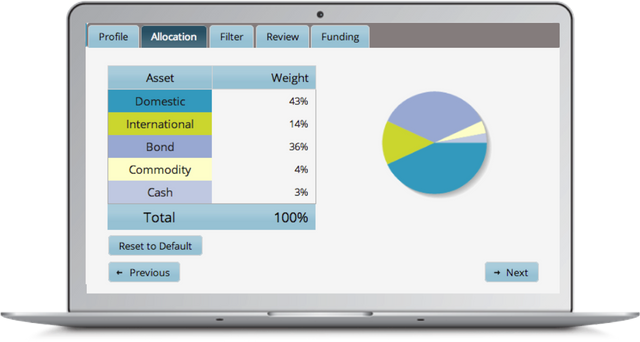 The technology is used specifically for the investment management portion of an advisor’s business model. “Our goal is not to replace the human interaction but leverage technology to advise, manage, and service investors who want next-generation investment management from their advisors,” said Jigar Vyas, President of Invessence.